Expect a windy Wednesday in South Florida. The onshore breeze may carry an isolated shower into South Florida this morning, but most communities will stay dry. Early temperatures will straddle 70 degrees, so jackets are optional. Early morning clouds will be most prevalent along the coast with more sunshine inland. This afternoon will be partly to mostly sunny with highs in the upper 70s. Winds are forecasted between 15 and 20 mph; some stronger gusts are expected. 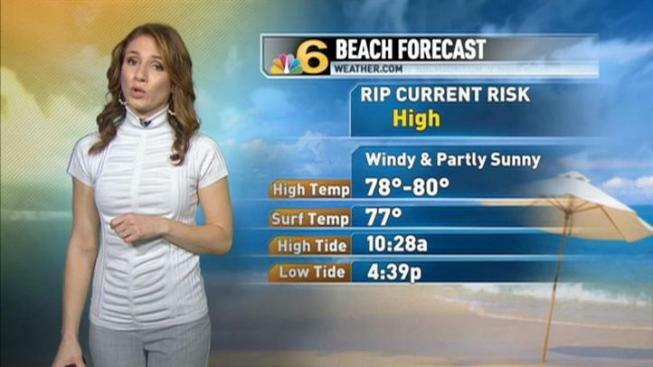 Dangerous rip currents will form at local Atlantic beaches. Small craft advisories continue for coastal waters through tonight.